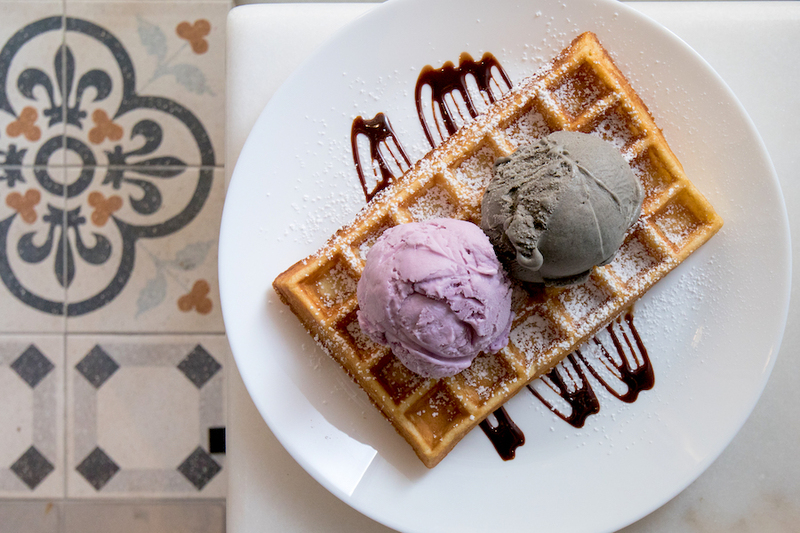 Wishes Cafe is another ice cream parlour that has joined the recent trend of opening within HDB residential estates, such as Denzy at Bishan, OCD Café at Ang Mo Kio, and Pobo Gelato at West Coast. 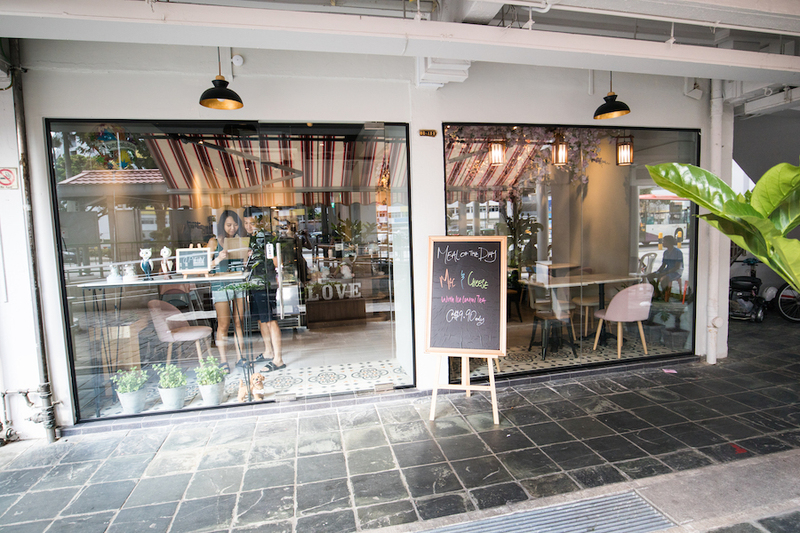 Located right opposite Circuit Road Market & Food Centre and underneath a HDB block, Wishes Cafe is a relatively cosy cafe with a 20-seaters space. 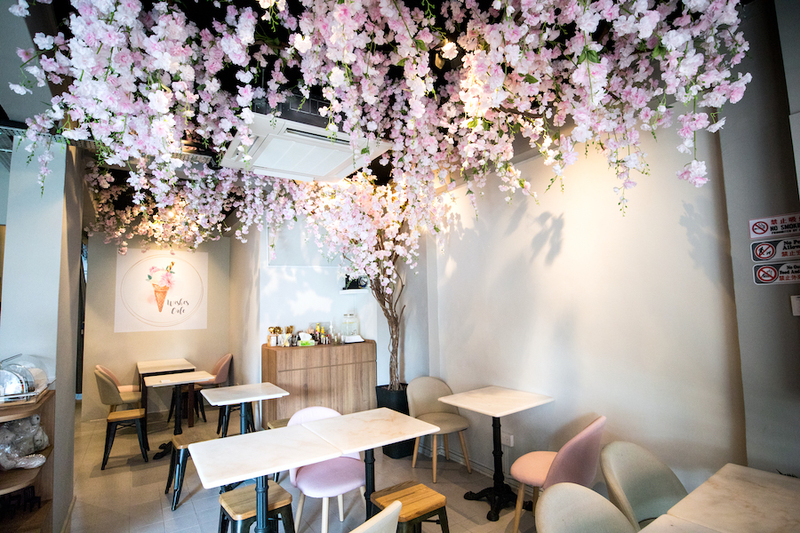 Even though the interior is less elaborated compared to both Denzy and OCD Cafe, there is an eye-catching component in its interior – a tall pink sakura tree which spans across the entire ceiling that creates a homely ambience. Not real but from Taobao of course, but it makes some photographic moments. 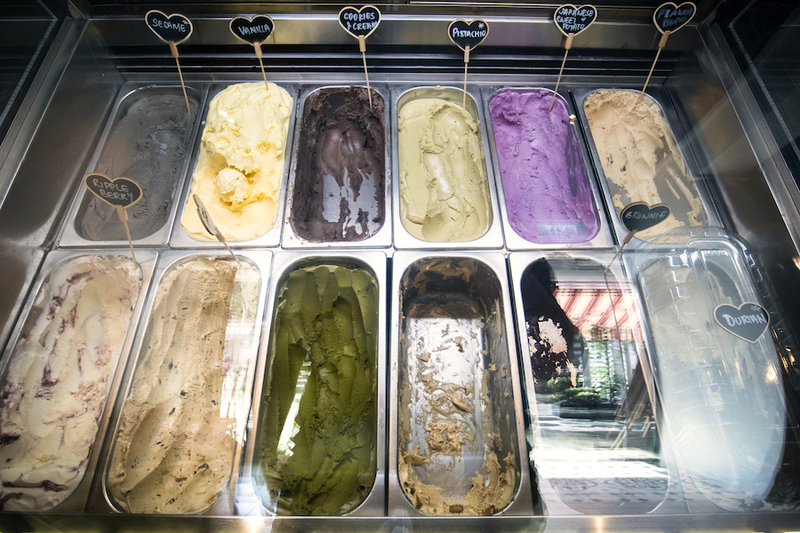 With a total of 12 flavours available at any one time, all ice cream are freshly churned in-house. A single scoop of ice cream will cost $3.50, and double scoops is priced at $6. 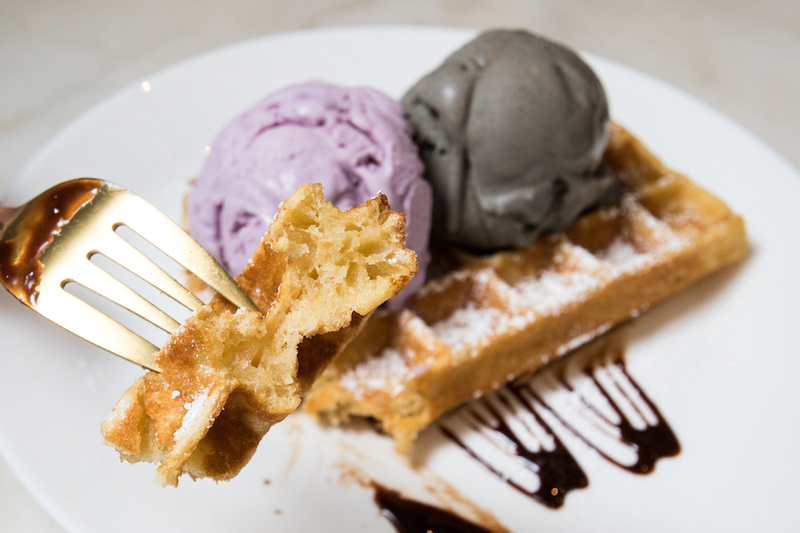 For a more substantial portion, buttermilk waffles (ala carte $5) are available with single (additional $3) or double (additional $5.50) scoops of ice cream. 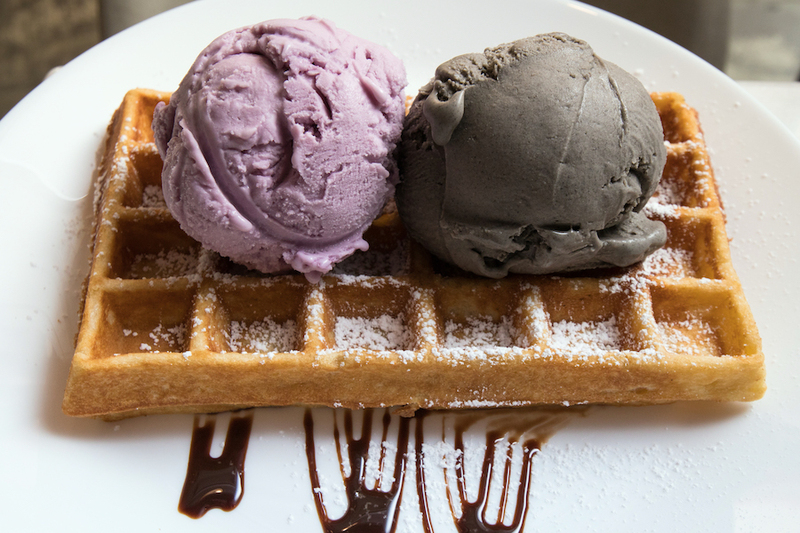 Premium flavours and waffle cones are priced at an additional $1. Classic flavours include Vanilla, Sesame, Rum & Raisin, Pistachio and Cookies & Cream whereas interesting ones are Japanese Sweet Potato and Kum Quat sorbet (a citrus fruit). I particularly enjoyed the texture of the ice cream which is non-icy and more creamy compared to that of an ice cream. The sesame ice cream was my favourite, with a texture that resembled to a gelato (but less sticky) and tasted like the traditional dessert of black sesame paste. The Kum Quat sorbet was another interesting flavour that tasted like sour plum and was light and refreshing. This flavour can probably resonate well with the older folks staying in the area which sparks a sense of nostalgia. The Buttermilk Waffles (ala carte $5) on the other hand was denser and more-eggy in taste. Not really my type of waffles, as I preferred something with crisp edges and an airy texture. 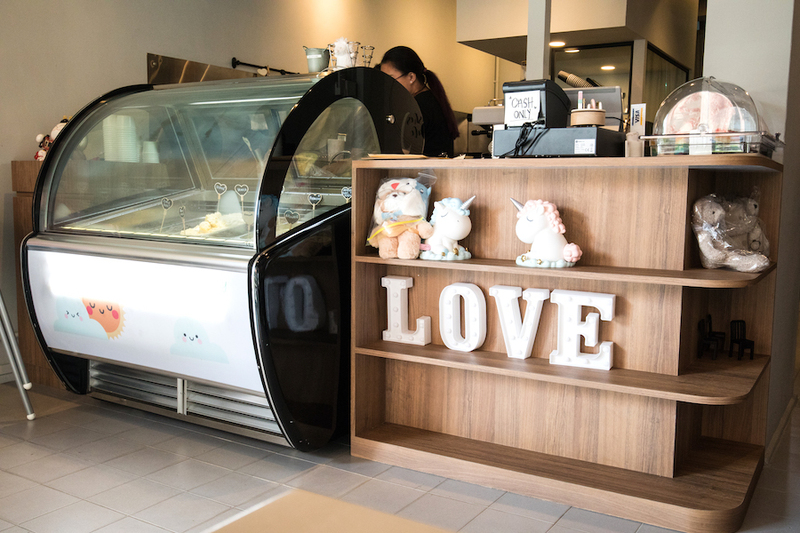 Apart from the ice cream selection, Wishes Cafe also offer savoury light bites options such as Ham & Cheese, truffle Egg Mayo, Tuna Mayo Croissant or Sandwiches ($5.90), French Fries ($5), Truffle Fries ($7) and Mala/ Sticky Orange Baked Mid Wings (6 pieces for $5.80). 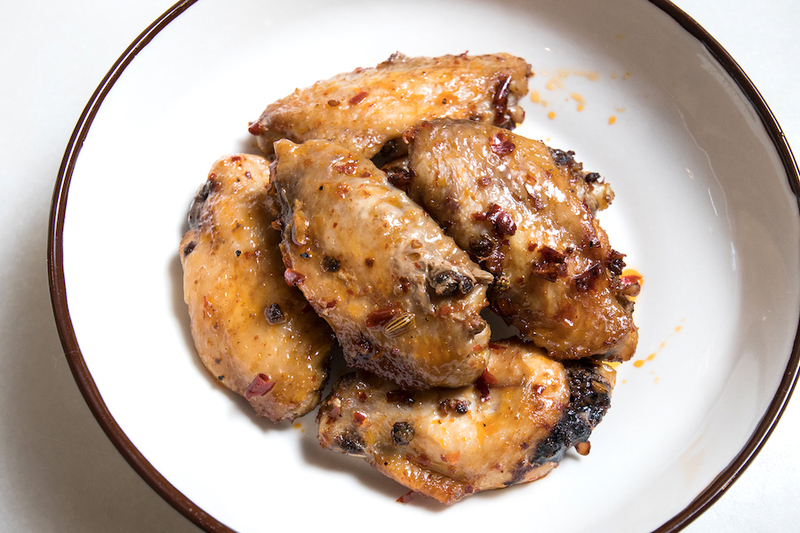 The Mala Baked Wings (6 pieces for $5.80) caught my attention which is not commonly found in an ice cream cafe. 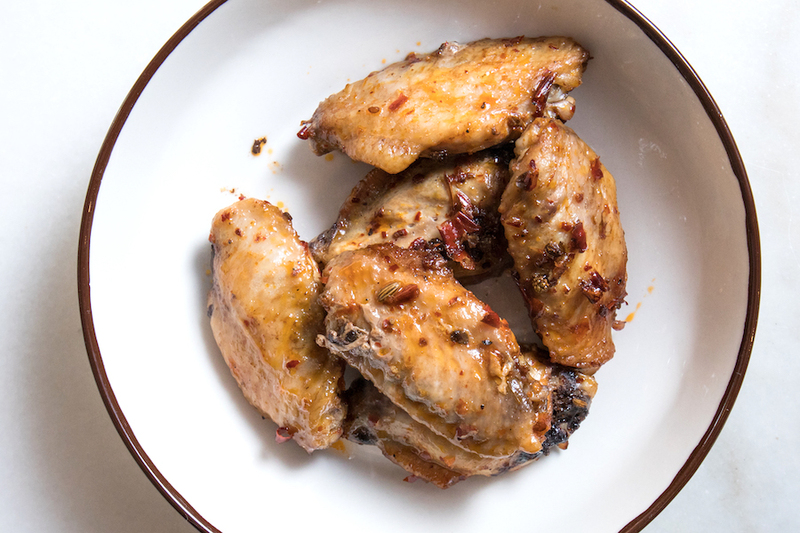 Reasonably priced at $5.80 for 6 pieces, don’t expect restaurant-style plating for the Mala wings, as each wing is generously coated with peppercorn and Sichuan chili. 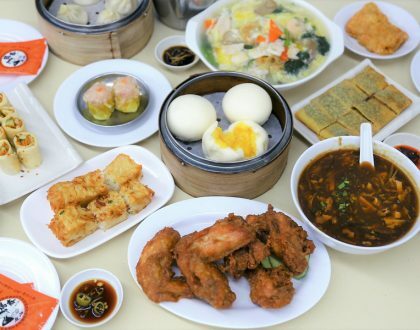 Freshly prepared upon order, each dish will require 15 to 20 minutes of preparation time and was well-worth the wait. The spiciness was not overwhelming but leaves a lingering and addictive feeling on the tongue whereas the numbing sensation was also bearable. I actually enjoyed the combination and contrast of having something hot (mala wings) and cold (ice cream) at the same time, which makes eating spicy food more enjoyable. Being a cafe, Wishes Cafe is one of the few that serves both artisanal coffee ($3 – $4.50) and traditional kopi ($1.50- 1.80) for those seeking a quick caffeine fix, probably to cater to the older folks there. Quite an interesting find in the heartlands, but perhaps I WISH for more creative dessert selection and flavours. A Sakura flavour in future perhaps, since there is a ‘tree’ there.